Brendo is joined by author Chris Troutt in the Podcast Lab at Los Angeles Podcast Festival 2017. 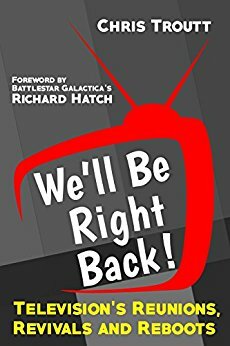 He and Brendo talk about Chris’ new book, We’ll Be Right Back! : Television’s Reunions, Revivals, and Reboots. They also talk about podcasting, wrestling, and a lot more. There’s even a Marmaduke! Thanks for listening and tell your friends! 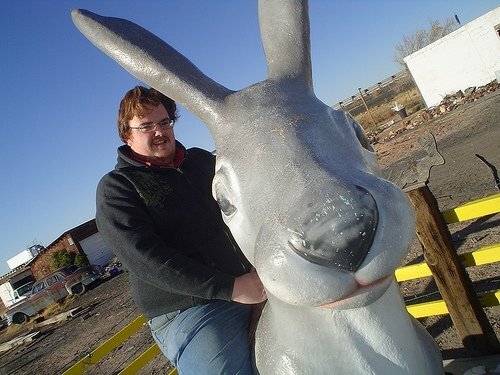 This entry was posted in Episodes and tagged author, benview network, books, brendan creecy, chris troutt, comedy, comics, los angeles podcast festival, marmaduke, nostalgia, podcast, podcasting, podfest, pop culture, pro wrestling, radio brendoman, reboot, remake, reunion, revival, tv, we'll be right back, wrestling, wwe on October 26, 2017 by brendoman. Brendo is at the Los Angeles Podcast Festival for the third year in a row. He recorded 26 interviews over the weekend so buckle up! This episode features conversations with Andrew Linde from Nothing New and Super Mario Bros. Minute, Bert Kreischer from Bertcast, Cheryl Jones from Movies Made Me, and Greg Behrendt from Walking The Room and Rock Out With Your Doc Out. Thanks for listening and tell your friends! This entry was posted in Episodes and tagged andrew linde, benview network, bert kreischer, bertcast, brendan creecy, cheryl jones, comedian, comedy, greg behrendt, interview, los angeles podcast festival, movies made me, nostalgia, nothing new, podcast, podfest, radio brendoman, rock out with your doc out, stand up, super mario bros minute, walking the room on October 14, 2017 by brendoman. 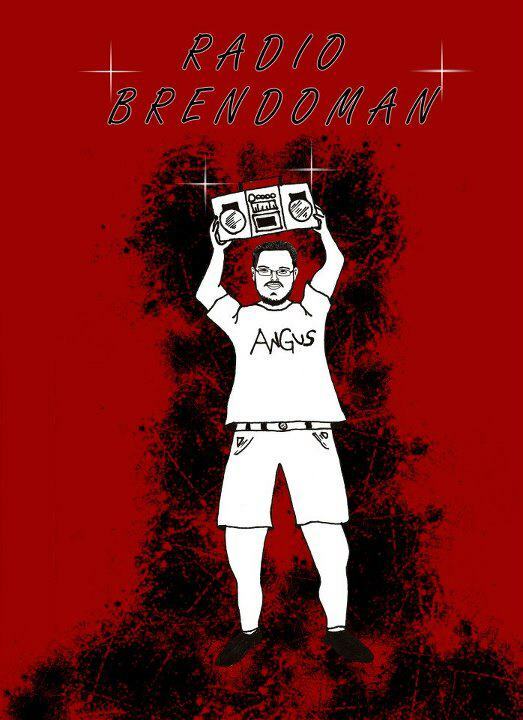 Radio BrendoMan #356 – We Got One! We got a question at askbrendoman@gmail.com so Brendo answers it! It’s about selling used video games so that is pretty neat. Brendo also talks about the new Ask BrendoMan voicemail line that you can call now at (714)408-7091, wrestling, Amazon stuff, the nice fall weather, favorite comedians, and more. Thanks for listening and please tell your friends! 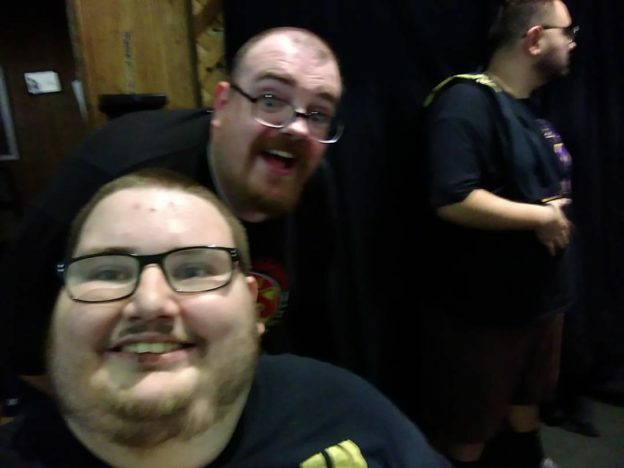 This entry was posted in Episodes and tagged amazon, ask brendo, benview network, brendan creecy, comedian, comedy, ds, ebay, ewf, fall, gamestop, geek, nintendo, no mercy, nostalgia, podcast, ps2, questions, radio brendoman, raw, smackdown, stand up, used, video games, wii, wrestling, wwe on September 20, 2017 by brendoman. Brendo is back after a busy couple weekends. 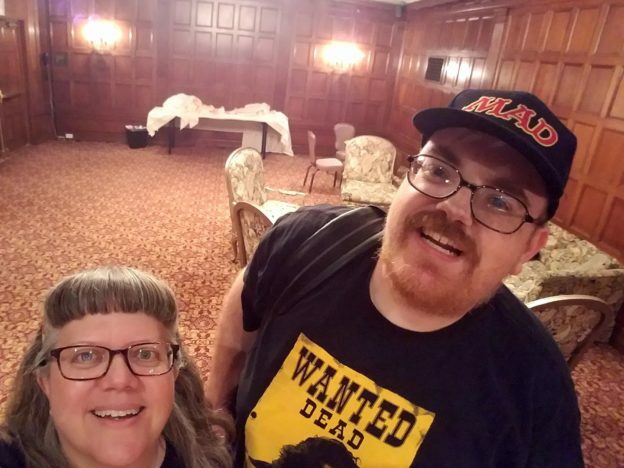 He talks about his wrestling show adventures, Comic Con Palm Springs, Long Beach Comic Con, the crazy heat in SoCal, some reader mail, Amazon stuff, It, and more. Thanks for listening and tell your friends! This entry was posted in Episodes and tagged amazon, benview network, books, brendan creecy, comedy, comic con palm springs, convention, fires, freaks and geeks, geek, heatwave, it, long beach comic con, movies, nostalgia, panel, pennywise, podcast, pro wrestling guerrilla, pwg, radio brendoman, reader mail, reseda, stephen king, webcomics advocates, wrestling on September 11, 2017 by brendoman. 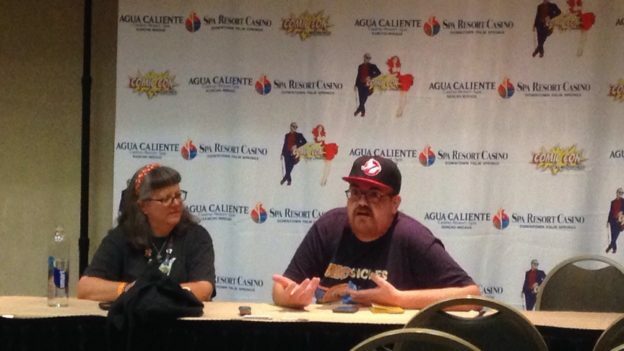 Brendo is joined by Cheryl Jones from Movies Made Me live at Comic Con Palm Springs. They talk about Cheryl’s recent job on Pete The Cat, commuting to Los Angeles, A Walk On Water, sharks, Tobe Hooper, horror movies, true crime, Wes Anderson movies, Coen brothers movies, Amazon stuff, and more. There’s also Marmaduke! Thanks for listening and tell your friends! This entry was posted in Episodes and tagged a walk on water, amazon, animation, beach, benview network, brendan creecy, cheryl jones, coen bros, comedy, comic con palm springs, comics, commute, convention, hollywood, horror, jaws, live, los angeles, marmaduke, movies made me, nostalgia, pete the cat, podcast, radio brendoman, sharks, surfing, swampy marsh, the funhouse, tobe hooper, traffic, true crime, wes anderson on August 29, 2017 by brendoman. Brendo is back, sadly without Phil, who has decided to no longer co-host the show. We wish Phil the best in the future. Brendo answers some mail, talks about the future of the show, and talks about a lot of Amazon stuff. If you’re coming to Comic Con Palm Springs be sure to check out our live show on Sunday with guest Cheryl Jones from Movies Made Me! Thanks for listening and tell your friends! 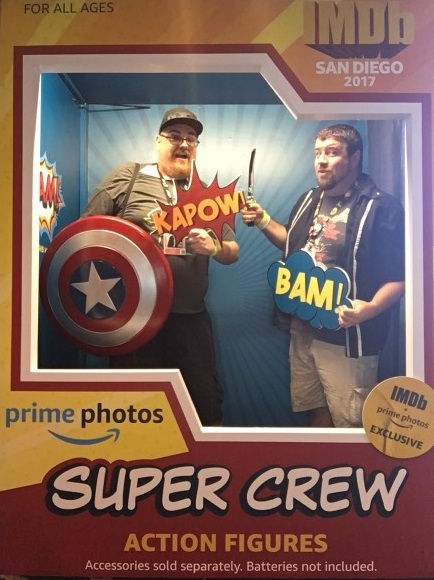 This entry was posted in Episodes and tagged amazon, benview network, brendan creecy, clicker heroes, comedy, comic con palm springs, convention, geek, nostalgia, panel, podcast, radio brendoman, reader mail on August 24, 2017 by brendoman. Sorry for the radio silence. Things have been very busy post-SDCC. 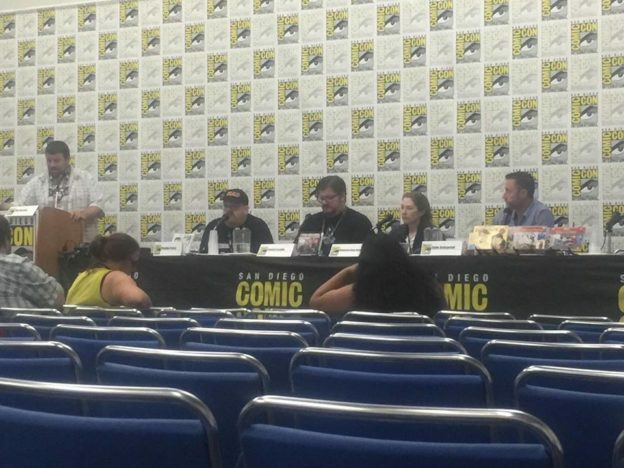 Here is the full audio from our Webcomics Advocates panel at Comic-Con 2017. 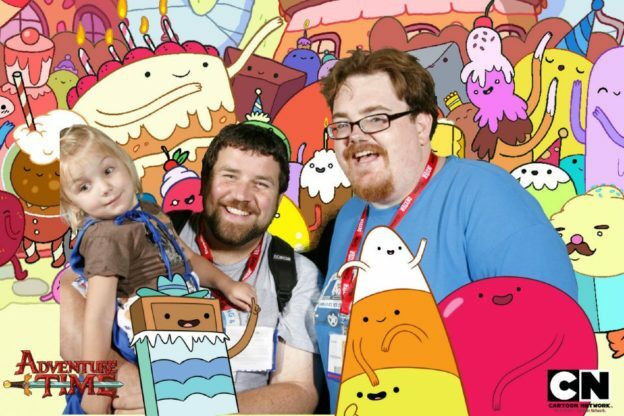 Phil and Brendo are joined by Madeleine Holly-Rosing, Eddie DeAngelini, and Patrick Scullin to discuss all things webcomics. Thanks for listening and tell your friends! 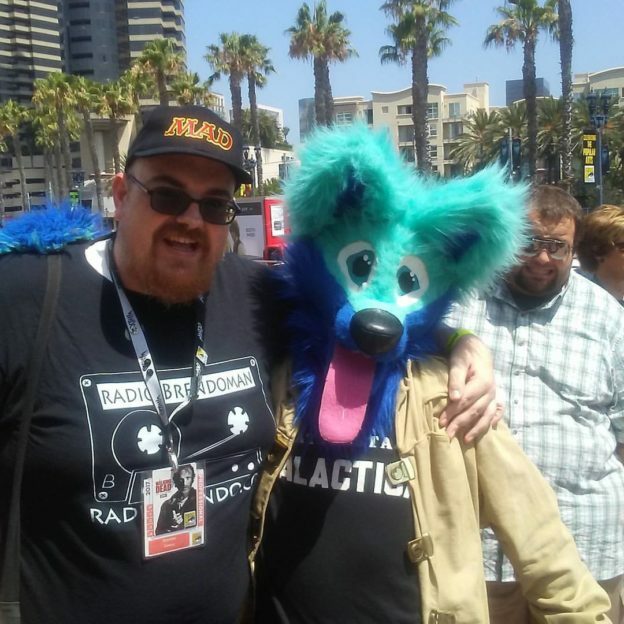 This entry was posted in Episodes and tagged benview network, brendan creecy, comic-con, comics, convention, eddie deangelini, how to, madeleine holly-rosing, panel, patrick scullin, phil vecchio, podcast, radio brendoman, sdcc.comic-con, webcomics on August 10, 2017 by brendoman. Phil is in the desert somewhere so Brendo is joined by Benview Network co-founder and Super Mario Bros Minute co-host, Emily Schmemily. They talk about their experiences at San Diego Comic-Con, fashion, crazy merch prices on the show floor, wrestling, the Kingsmen bar, @Midnight, the McElroy brothers, Chris Hardwick, the IMDboat, Riverdale, twin actors, The Parent Trap, We’re Back! A Dinosaur’s Story, voice acting, Ready To Rumble, the Super Mario Bros movie, animatronics, The Walking Dead, Amazon stuff, and more. Thanks for listening and tell your friends! This entry was posted in Episodes and tagged actors, amazon, animatronics, benview network, bob gurr, bola, brendan creecy, call of duty, chris hardwick, comedian, comedy, comedy central, comic, comic-con, convention, cw, dc, dinosaurs, disneyland, dress, emily schmemily, fashion, geek, hard rock, hats, hayley mills, i know that voice, imdboat, indie wrestling, jurassic park, kevin smith, kingsmen, legends of tomorrow, lindsay lohan, martin landau, mcelroy brothers, merch, midnight, movie, nintendo, nostalgia, nxt, phil vecchio, podcast, pwg, radio brendoman, ready to rumble, riverdale, robert kirkman, san diego, sdcc, shirts, star wars, super mario bros, super mario bros minute, talk show, teen wolf, the adventure zone, the flash, the parent trap, the walking dead, tom kenny, tv, twins, universal, vendors, video games, voice acting, we're back a dinosaurs story, wrestling, wwe on July 26, 2017 by brendoman. We’re at Comic-Con so this episode is going up a little early. It features our giant sized Comic-Con schedule preview. There’s also some Amazon stuff and a few other things. If you’re going to be at SDCC come to our Webcomics Advocates panel at 9 PM on Friday in room 32 AB. Sorry we didn’t have time for Marmaduke, we promise we’ll do it next week. Also check out Brendo’s standup video! Thanks for listening and tell your friends! This entry was posted in Episodes and tagged amazon, benview network, books, brendan creecy, comedy, comic-con, comics, convention, geek, movies, nostalgia, open mic, phil vecchio, podcast, radio brendoman, san diego, sdcc, stand up, tv, video games, writing on July 20, 2017 by brendoman.